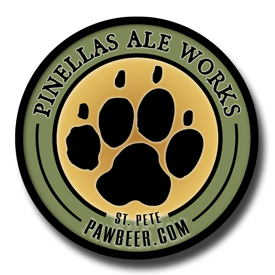 Overall, Pinellas Ale Works is a must visit brewery if you are in downtown St. Petersburg, FL. Even more so if you are a dog lover because every time I go in the taproom there are always a few dogs relaxing while their owners drink up…This is one of the few breweries where all of the beers are worth a shot. Get a sampler and try the lot at Pinellas Ale Works, you won’t be disappointed.